Dubai: Saudi Arabia dismissed its health minister on Monday just days after he visited a hospital at the centre of growing concerns about the kingdom’s handling of the Mers virus. 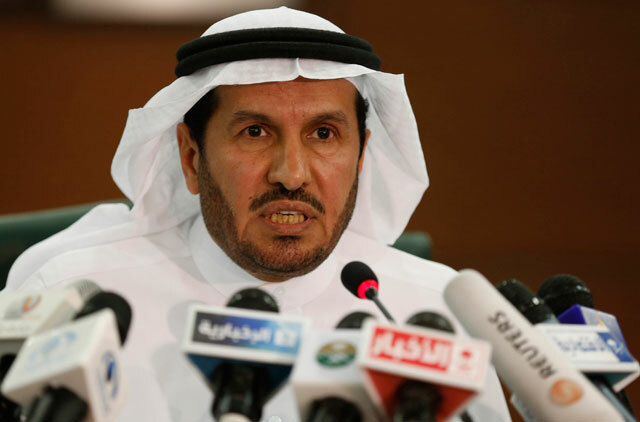 Abdullah Al Rabie was named adviser to King Abdullah Bin Abdul Aziz and Labour Minister Adel Faqih will temporarily take over the health minister’s portfolio until a replacement is named, a royal decree said. No reasons were given for the move, but it comes as the kingdom races to contain the spread of the Middle East virus related to Sars. The Health Ministry says 79 people have died and 244 have been infected by the virus since 2012. Panic over the spread of the virus among medical staff in Jeddah triggered the temporary closure of a hospital emergency room in the city earlier this month. The now fired minister visited the facility last week in a bid to reassure the public but on Wednesday at least four doctors at the King Fahd Hospital reportedly resigned after refusing to treat Mers patients. He said late Sunday that the kingdom is ready for the annual Haj. “We are working hard to control the spreading of the virus and are ready for Haj season,” Al Rabie said. “We have long and competent experience in mass gathering medicine as an international reference in this field,” Al Rabie was quoted saying. Al Rabie attributed the rise in reported cases to improved approach to tests rather than an accelerated spread of the virus. The minister said that no case was recorded at any of the schools and that the number of medical staff infected has been reduced. The rate of deaths went down from 60 per cent when the virus was first noticed to 35 per cent last week and 32 per cent today, the minister added at a press conference. However, he said that he expected more cases to be reported in the future. He added that 22 experts from the World Health Organisation (WHO) and specialised centres in Europe, US and Asia are expected to arrive in Saudi Arabia this week and hold a meeting with experts from the Gulf Cooperation Council, local news site Sabq reported on Monday. Five international companies have also been asked to cooperate with the health ministry to help confront the formidable challenges. Thespread of new infections slowed during the winter, but there has been a sudden increase in cases this month. The 49 confirmed infections announced over the past week, mostly in the port city of Jeddah, represent a four-fold increase in the total number of confirmed cases since the outbreak began. On Sunday, Rabeeah said he thought the sudden spurt of new cases in Jeddah might have a seasonal cause, given there was also an uptick in infections about a year ago, but added that he had “no idea” why that might be. Mers was initially concentrated in eastern Saudi Arabia but it now affects other areas. The virus is considered a deadlier but less-transmissible cousin of the Sars virus that erupted in Asia in 2003 and infected 8,273 people, nine per cent of whom died. A recent study said the virus has been “extraordinarily common” in camels for at least 20 years, and may have been passed directly from the animals to humans.